Webinars (aka Webcasts, Web conferences, etc.) 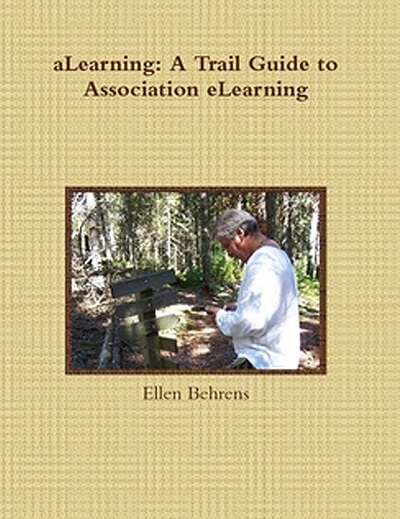 comprise the most common type of online learning associations offer. This makes sense for a lot of reasons — organizing them is similar to organizing live events (determine the topic and speaker, review the content, then “go live”). So despite their unique challenges, they seem the easiest transition into online learning, certainly the most familiar. …because they won’t know how to answer your questions. Imagine you have never attended a live Webinar. Pretend you have never seen a stand-alone, instructorless, asynchronous course. Picture not knowing what an archived or recorded Webcast is.